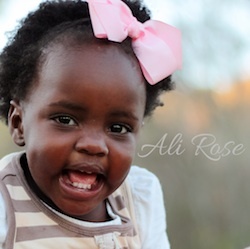 **this story was originally shared with family and friends when we first announced our journey to adopt Ali Rose in April of 2011. This is the story in my heart. It is the story of how the Morrow five are becoming the Morrow six. It’s a story written by the Ultimate Storyteller, who knows the details, knows the twists and turns, knows the climax and the ever after. It’s the story of me finally deciding that I wanted to live that story. So really, it’s God’s story and I am just privileged & humbled to be a part of it and to share it with you. All my life in subtle ways I’ve sought to control my circumstances, play it safe, to compare and attempt to measure up, to hold this world & the things of it very tightly. This is the story of learning that my heart was made for freedom, to let go and open my hands and see that what spills out is beautiful and really a much better story than I could have ever written for myself. The Lord spoke to me years ago (2008). He whispered into my soul Africa. What I didn’t know then but I do know now is that he was inviting me to participate in this story. When I first felt the stir it revealed itself only as obedience. “Trust me, for I know the plans….” Going against my planning nature I took baby steps inching my way in trust towards obedience. Those baby steps grew into giant leaps and found me on a plane to Uganda last October 2010. Although I was going with our dear friends who were adopting two little boys, I felt certain that the trip was not about adoption for me. It was the first time in my life that I knew God had spoken to me and I was responding in faith. I didn’t have all the answers and I was scared out of my mind, but it was time to live life instead of watching from the sidelines. I was learning to walk with God. Africa changed me. No doubt about it. I now had faces and names and stories that filled up those statistics I had been hearing about the orphan crisis both at home and around the world. My heart was opened to those hurting and in need, but I left and returned home not feeling a specific call to adopt. Nathaniel and I were sure however, that we desired to have a fourth child. We assumed it would be biological. Back to my planning side- I had it all figured out when we might begin trying to grow our family. 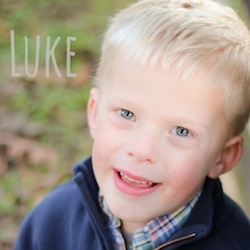 When Nathaniel returned home, he did not tell me that God told him we were to adopt. Our conversation about his experience in the mountains was more that God was leading us to pursue Him as a couple and be obedient to what He was calling us to, and if that was adoption, so be it. My planning nature took me right back to trying to get it all “figured out.” About that time, we were hit by the perfect storm. Our world was shaken and it was clear that this was no time to get pregnant. Frustration began to seep in as months passed and the fog hadn’t lifted. I was ready and yet circumstances forced us to wait. As days and then weeks slipped away we turned the focus of our prayer towards what does God want for our family? What does He have in store for us? We continued to wait and listen for the Lord. In early March I went to visit my friend in Columbus for the weekend that had just had her first baby. That weekend Nathaniel & I had committed to being in prayer and really seeking to hear what the Lord wanted for our family. Although the weekend was blessed I realized that I didn’t have the longing for another biological baby. I remember on Sunday March 6th before I left Ohio, wrestling with this notion of knowing that I wanted another child but not feeling that it was to be from me. Nathaniel sat in the prayer room at our church that same Sunday (March 6th) spending time in the word and journaling. His question, “Are we supposed to adopt? Lord, I need to know…yes or no…are we supposed to adopt?” The Lord replied, “I already told you, I told you in December, you ARE going to adopt.” He later told me that at that time, an intense peace came over him and it was resolution from the Lord. When Nathaniel and I saw one another on March 7th we were not bold in telling the other what the Lord had revealed. I think we just said, “Let’s keep praying.” Needless to say, something was born in our heart that day. The next two weeks were hard for me. I asked those close to me to pray on our behalf that we would hear God in this. Remember… I had been ready to try and grow our family since November/December. Each day that passed I felt this longing to know and do something about it all. I had a sense of urgency and just kept thinking about how much I wanted another little one and I wanted her soon. That’s right. Somewhere deep inside I knew I wanted a girl, another beautiful daughter to cherish. 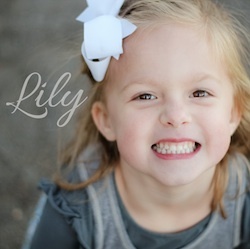 A sister for Lily and Luke & Jack. Saying that I wanted a girl is not really something you speak out loud. I mean, come on,,, especially if we went the biological way- it’s not like I get to pick! But as I spent more time before the Lord and became more honest with myself I knew I wanted a little girl- and when I shut my eyes really tight… she was not from me, but she had a tiny brown face, big brown eyes and tiny hands & feet. Now here was this desire but I had no clue how that would come about. Again, it felt too crazy to even speak aloud. The week of our spring break Nathaniel and I were continuing to pray & seek but not hearing much in return. I noticed every pregnant woman and also every child that was obviously adopted. I grew frustrated & discouraged- but kept searching. I was tracking my period and ovulation (to be prepared) while at the same time I was doing Google searches for adoption. Now my heart was definitely leaning towards adoption (when I was not being fearful about it) but looking up agencies on the computer or thinking of getting “matched” with a child by a worker didn’t seem right for us. By the end of the week of spring break I was really wondering what in the world. Not wanting to try and get pregnant but also not feeling peace about the adoption process. I honestly wanted the Lord to lead this but wondered where it was going. I had come to the end of myself. Which was precisely the place I needed to be. On Monday the 21st of March my phone rang and I missed it- the caller ID showed it was Mandie Joy calling from Uganda. (When I was in Africa last Fall my path crossed with two American nurses (Mandie Joy & Rachel) who were serving with a medical initiative in Masindi Uganda for a year. At the time that I met them, they were caring for 5-month-old twins who were newly orphaned. These babies were fighters and just beginning to turn a corner and thrive under the unconditional love and care from the nurses. As only the Lord could orchestrate, the woman that I would share my first experience in Africa with and be forever bonded to- she is truly my sister in Christ- would months later adopt these twins. She is now their forever mother and they have a very full and beautiful family that we are privileged to do life with here in Nashville. Since my trip to Africa I kept up with Mandie Joy & Rachel through their blogs and occasional emails. ) So Mandie Joy called and left a very calm message for me, saying that she had something for Nathaniel & I to pray about. Mandie Joy & Rachel had been called to check on a baby girl who was just two weeks old, born on Sunday March the 6th (the same day Nathaniel and I knew we were being called to adopt= CONFIRMATION). The baby had been left at an orphanage that was not able to care for infants. I listened to the message and burst into tears. I was hysterical. I called Nathaniel who picked up and immediately assumed something horrible had happened to me or one of our children. After I was able to sputter out the news we were both just quiet for a minute. Nathaniel was unable to really talk at that moment and said he would call me back soon. I frantically tried to call Mandie Joy back but the connection would not go through, I then tried to call another trusted friend but wasn’t able to get her on the phone either. I was shaking, I was crying, I couldn’t sit still. I went to the only thing left- my bible and I read about PERFECT LOVE which DRIVES OUT FEAR. At this point the biggest barrier in my mind to adopting was fear of the unknown. Fear of what the future would look like. He gave me the verse 1 John 4:18, There is no fear in love. But perfect love drives out fear, because fear has to do with punishment. The one who fears is not made perfect in love. I began to cling to this scripture and He began to have it reside in my heart. Monday was a blur; we made contact with Mandie Joy over email and set a Skype date for Wed. of that week. Mandie Joy also mentioned to us as we shared our hearts with her over email that she was praying about whether or not this little girl could or should be her daughter but also felt as though the Lord was prompting her to reach out to us. We all committed to praying fervently about baby girl. The next day Mandie Joy had left the baby at home with Rachel and was asking the Lord to show her upon her return to the house if she was indeed to be her mother. MJ said when she looked at her face in Rachel’s arms that all the other Morrow children flashed before her eyes. She said she knew in that moment that the baby was a Morrow (CONFIRMATION). Mandie Joy & Rachel also attached a picture of her to one of the first emails and when I looked at it I felt as though I was falling in love. It was so strange and so beautiful at the same time. Nathaniel and I decided after the phone conversation that we were going to keep this between the two of us and God (and obviously MJ and Rachel). We have learned in the past that other voices -even with the best of intentions- can sometimes get in the way of hearing the Lord. We did not feel it was the right thing to talk to others about the situation. On Wed. we saw her for the first time over the Skype and I could hardly contain my joy! She was perfect. I couldn’t stop thinking about her and neither could Nathaniel. As the days passed we got more information from MJ and Rachel regarding her story. From Rachel: On Monday, Mandie got word of a two-week-old baby that had been assigned to Family Spirit Orphanage (former home to Eli and Ellie). Her mother died from her C-section and her dad brought her to the social worker and gave her up. Though Family Spirit is technically not registered as an orphanage, the social worker gave her to them for lack of another place to send her. The orphanage called us because her umbilical cord had blood spurting out whenever she cried. Susan, the woman who runs the orphanage, brought her to me to be checked. When I saw Susan drag herself in, looking exhausted from her duties as mom, school teacher, orphanage director, nurse, cleaner, etc., I knew the baby would be staying with us. And stay she has! She was born on March 6th at Masindi Hospital. The story is vague and details are missing, but apparently her mom died from an infection ten days after her C-section. AR is now part of our family and we can’t imagine life without her. At two weeks, she is 6 pounds, 3 ounces, 21 inches, with a head full of hair. She’s healthy and her umbilicus is healing and her oral thrush is almost gone. We are enjoying her baby noises and love carrying her in the Moby wrap. She’s a pacifier girl through and through and her color is officially purple. 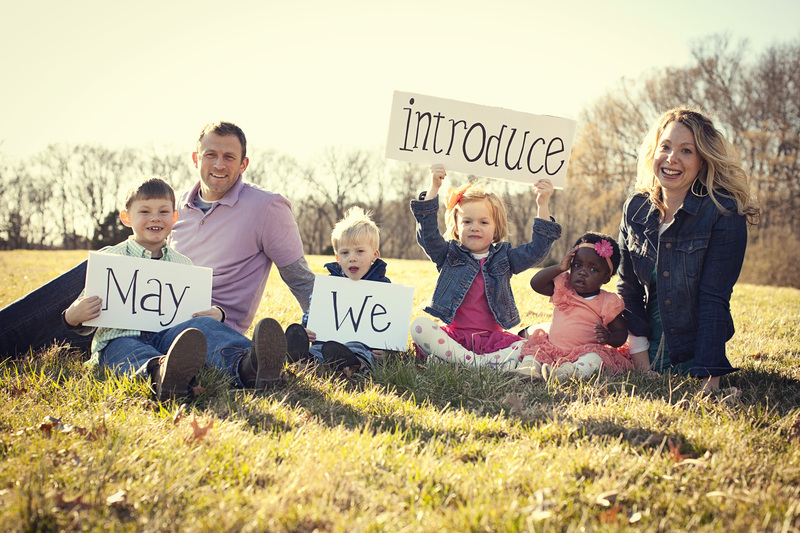 From Mandie Joy: Our little Ugandan family has grown by two more tiny feet. I’ll be sharing more details of her story later on, but for now I just wanted you all to see that tiny sweetness that is ALINDA ANNA ROSE born on March 6, 2011. She’s just 2 weeks old, and came to us with no name. When Rachel and I first saw her, the word that immediately came to both of us was “grace”, so we began calling her Baby Grace while we decided on a full name. Her mother’s name was Rose, so we felt like we wanted to honor the woman who gave her life by letting her keep her mother’s name. Grace Rose and Rose Grace didn’t sound right to us…so we waited for the right name to show up. For reasons I can’t get into here…yet…the name Anne is very important to this baby. It was also my grandma’s birthday yesterday…and her name is Anne. I looked up the definition and found out that Anna means…you guessed it, grace. So, we’re calling her Anna Rose. Since she’s so little, she’s been coming with us to the clinic during the day. She gets passed around among the staff and they love her! They gave her a Ugandan surname, Alinda (pronounced ah-LEEN-dah). The name means, “God cares” or “God protects”. It comes from the verb kulinda, which means, “to care for”. We love this verb because it was one of the first words we learned in Runyoro. So many people came up to us saying, “Webale kulinda abaana.” that we finally had to ask someone what it meant. It means, “Thank you for caring for our children.” Maybe carrying the name Alinda will remind sweet Anna Rose that God has cared for her since the day she was born and encourage her to one day care for other tiny orphans. I believe she was born in our hearts on March 6th, 2011. Her mother passed away on March 16th– which happens to be my Dad’s birthday. Her African name Alinda we love, and has Nathaniel’s moms name (Linda) in it. Within a day or two I was calling her Ali Rose (not out loud, of course!). Again, I had this joy that I couldn’t explain. Nathaniel and I both reached out to a trusted friend and she said to me that it was almost like I was a pregnant new Mom- gushing with the news. It was hard to not talk to EVERYONE I came into contact with about it. We were in communication with MJ and Rachel on a daily basis. We asked God about starting the adoption process on our side of things and felt a peace that we should go ahead and start the paperwork. On Sunday we went to church and I broke down (did the big ole ugly cry) just thinking about AR and the fact that three weeks ago her Mom had given birth to her. Now here I was, on the other side of the world, my heart breaking to be her mother. Nathaniel seemed to be having an easier time with not talking to others about it than me. I desperately wanted to talk to my Mom. I didn’t necessarily want her opinion or her approval- I just wanted her to know about this huge thing in my life! I hadn’t talked with my Mom at all about wanting a fourth child. She had no idea that we had been praying about growing our family for several months. Yet, on Monday the 28th I was sitting in my minivan outside the parking lot of Wal-Mart. It was a week after we got the phone call from Uganda. My mom called me and we talked for a little while (I had kind of been avoiding talking to family because it seemed too hard not to say anything). Somewhere mid-conversation my Mom said, “I just by chance was reading Mandie Joy and then Rachel’s blog and they have this new baby. I think she is supposed to be your daughter.” My mouth hit the floor! What?!?!? I mean, it was that crazy! CONFIRMATION and BLESSING from the Lord! I still didn’t feel like it was “right” to be discussing it with Mom, although I did have such a joy just knowing that she had seen the baby and read a little about her story. I asked my Mom to pray for us and I would fill her in just as soon as I could. Although I didn’t know exactly when that might be. We prayed consistently that God would draw our hearts to hers and begin to shape us into her mother and father. We also prayed that if it wasn’t His will then to turn us away. We asked for more confirmation and peace to know what His plan was for both Ali Rose and our family. 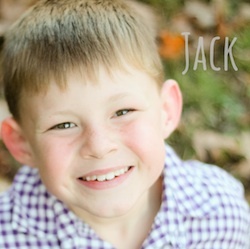 We prayed for Jack, Luke and Lily- that they would begin to transform into the big brothers and sister. We prayed for Mandie Joy and Rachel and the unbelievable gift they were giving us in caring for this child who we desired to be our daughter. But most of all we prayed for little Ali Rose, for her heart to know Christ. For her strength and wisdom and character. For her to know LOVE right from the beginning of her life. When I got a call from the worker at Catholic Charities that we would be working with, I could only smile when she told me that her cell service was shaky as she was calling me from “Pikeville KY.” I told her that I knew about Pikeville and felt an instant connection and happiness to be working with her. (My parents had spent the last 12 years in Pikeville) When we had our first meeting with our social worker at Catholic Charities it was amazing to sit on her couch and tell the story out loud (Nathaniel and I together) for the first time. I don’t know the exact day that I knew she was to be my daughter. I can’t pinpoint the precise moment, but somewhere deep within me I had an overwhelming peace and joy. She was a gift from the Lord and I would consider it a privilege to be her mother on this earth. I think I might have felt that peace from the Lord a little bit sooner than Nathaniel, however, I never felt the urge to pressure him or figure out where he was in the process. I felt as though if this were truly from Him (which I believed) then he would bring Nathaniel and I into unison. Nathaniel also received a call from our Pastor (who had committed to praying for us, but it is not his style to say one way or another) who told him, “As crazy as it sounds I believe the answer is YES, she is your daughter.” CONFIRMATION God gave us both such unique and affirming confirmation at each step. April 8th, 2010 was Nathaniel and my 16-year anniversary from our first date. Which means we have now officially been together for half of our lives. Weeks earlier I booked a sitter so that we could spend the evening together on yet another special date. That morning when I woke up Nathaniel had post it notes all over the house with little things that he remembered about that day 16 years earlier. I smiled as I read and recalled each memory. We went to dinner and then to Centennial Park because it was a gorgeous evening. We sat on the steps of the Parthenon and I read to Nathaniel something that I had written to him about my life since he entered it. From falling in love with him while dissecting the fetal pig in Biology II class, to accepting Christ with him on the side of the road in his Ole Blue pick-up truck, to our wedding day, to finding our calling working with the inner city youth of Nashville, to the birth of Jack, to being stretched and called into the private school world of CPA, to the news and birth of the twins Luke and Lily. What an amazing adventure we had been on! In my letter I used the scripture Jeremiah 29:11-13 “For I know the plans I have for you declares the Lord, plans to prosper and not to harm you. Plans to give you hope and a future. Then you will call upon me and come and pray to me, and I will listen to you. You will seek me and find me when you seek me with all your heart.” I told Nathaniel how blessed I felt to get to spend this life with the love of my life and my best friend. I said I couldn’t wait to see the rest of this amazing story God was writing with our lives. Then Nathaniel gave me a card that he bought. I was reading the outside and then when I opened the card up I found the last post it note he wanted me to have. It said, “Alinda Rose will be our daughter. I am there!!!!! I love you!!! !” We both cried. We prayed. We cried some more. And then, we went to Sweet CeCe’s to celebrate! Nathaniel and I shared more about what God had done in our hearts over the past 19 days. He had allowed us to fall in love with this little girl, and turned us into her parents. He had shown us that if we walked away from her we would truly grieve like we were walking away from one of our three biological children. He gave us visions of her later in her life, of Nathaniel holding her beautiful face cupped in his hands on her Wedding day. The next day Saturday April 9th we Skyped with Mandie Joy and Rachel (who were visiting in Jinja at the time) and got to see her little face again~ although she had grown SO MUCH in this first month of life J. We told them that our answer was Yes!!! Lord willing, we wanted her to be our daughter. On Monday the 11th we shared the news with our children… and let me just say we could all learn something from children. Their willingness to love and accept without reservation was powerful. Although we haven’t met our daughter yet, we realize that her story has been written into ours since the beginning of time. It comes as no surprise…. yes, He is a master storyteller. God invited us to participate, and this time I said yes.